A two-dose vaccination schedule for the human papillomavirus (HPV)-16/18 AS04-adjuvanted vaccine is approved for the prevention of premalignant cervical lesions and cervical cancer causally related to certain oncogenic HPV types in girls aged 9–14 years in countries in the EU and elsewhere. In this patient population, the two-dose schedule elicited a high immunogenic response that matched that of the three-dose schedule in women aged 15–25 years and, therefore, was inferred to provide clinical protection against oncogenic HPV cervical infection and, consequently, against precancerous lesions and cervical cancer. 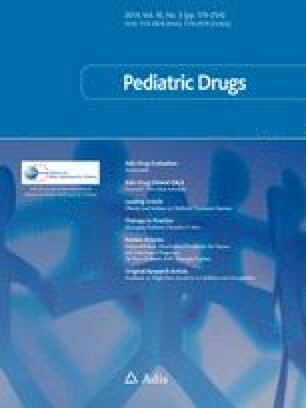 The manuscript was reviewed by: J. Garcia-Sicilia, Department of Paediatrics, La Paz Hospital, Madrid, Spain; S. Esposito, Paediatric High Intensity Care Unit, Department of Pathophysiology and Transplantation, Università degli Studi di Milano, Fondazione IRCCS Ca’ Granda Ospedale Maggiore Policlinico, Milan, Italy; P. Matoulková, Faculty of Pharmacy in Hradec Králové, Charles University in Prague, Hradec Králové, Czech Republic; B. Romanowski, Division of Infectious Diseases, University of Alberta, Edmonton, Alberta, Canada; S. Saluja, Consultant in Internal Medicine, Saran Ashram, Agra, India. The preparation of this review was not supported by any external funding. The author has requested that GSK reviews this article in an advisory capacity as part of the peer review process. GSK’s review has been limited to the data related to GSK’s vaccine; the author retains sole responsibility for the scope and content of the article; changes resulting from comments received from GSK were made by the author on the basis of scientific and editorial merit. Alemany L, de Sanjosé S, Tous S, et al. Time trends of human papillomavirus types in invasive cervical cancer, from 1940 to 2007. Int J Cancer. 2013. doi: 10.1002/ijc.28636. Angelo M-G, David M-P, Zima J, et al. Pooled analysis of large and long-term safety data from the human papillomavirus-16/18-AS04-adjuvanted vaccine clinical trial programme. Pharmacoepidemiol Drug Saf. doi: 10.1002/pds.3554.